Certified Level 4 Coach – Recognized in the curling world for his extensive involvement in coaching and instruction at the provincial, national and international levels. In 1974, he began his coaching career in Nipawin where he coached teams from the High School and Junior Program until 1995. In that time he coached teams to 7 Provincial titles, 3 of which were High School and 4 Provincial Junior titles. During his time in Nipawin Gene assisted with the Junior Program and helped initiate the Little Rockers Program as well. 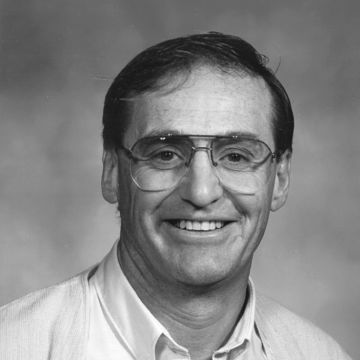 In 1984 Gene began volunteering his time as a Master Course Conductor for the Saskatchewan Curling Association (SCA) passing on his knowledge of the game to future coaches and instructors. Gene instructed many Level 1, 2 and Level 3 Technical courses and also instructed at the SCA’s summer curling camp for over 10 years. He also continues to be a National Coach for the Canadian Curling Association (CCA) instructing at numerous High Performance Camps throughout Canada. 1996 marked the beginning of Gene’s adventure with the Japanese Curling Program as a National and Olympic Team Trainer. “Gene-son”, Gene’s proper Japanese name, had the opportunity to travel to Japan several times, coach the Makoto Tsuruga Team at the 1997 World Juniors in Karuizawa and attend the 1998 Olympic Games in Nagano as Coach for the Japanese Teams. In 2001 Gene was presented with the opportunity of coaching BC’s Kelly Law Team at the Canadian Curling Trials that won the right to represent Canada at the Olympics in Salt Lake City. The Team did very well, bringing home the Olympic Bronze medal for Canada. In 2002 Gene received a Petro Canada Coaching Excellence Award as Coach of the Kelly Law Olympic Bronze Medal Team. Whether it is coaching High Performance teams or instructing young athletes just learning the sport, Gene’s knowledge of the game is second to none. Gene’s love of the game and desire to help the curlers he works with improve, obviously drives him to attain extraordinary results.